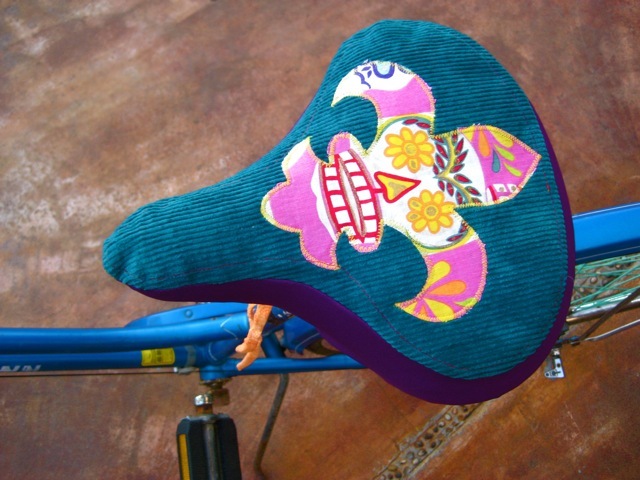 After I made my upholstered and painted saddles I wanted to come up with other ways to customize a bike. Well, I’m still focusing on the seat, but this time with a removable cover. These covers are completely made from recycled materials! 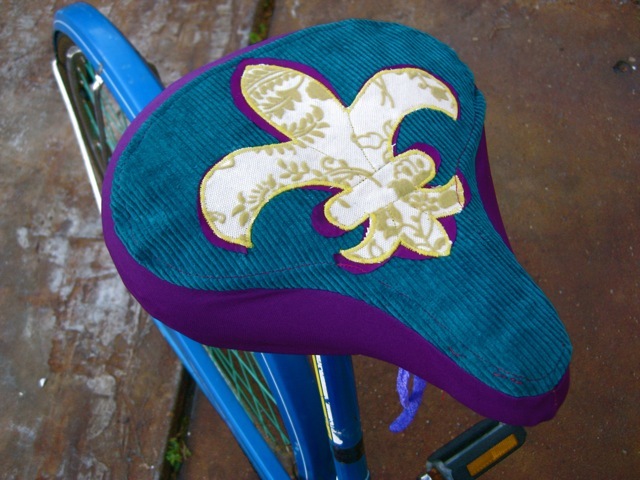 The fleurs des lis are cut out of cotton, and then glued and stitched onto durable teal corduroy. 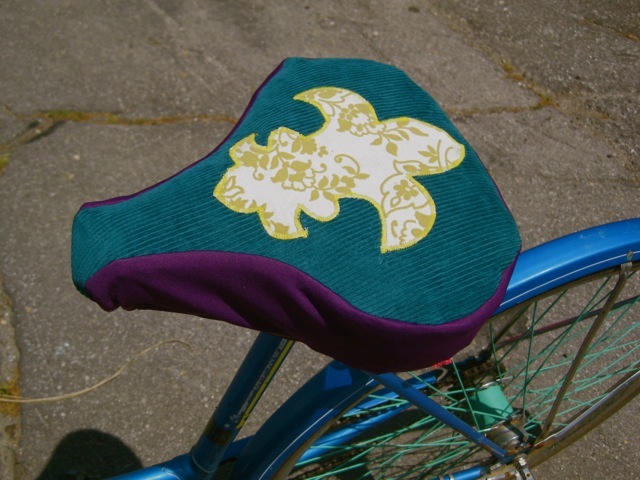 The tops are lined with thick vinyl, adding some serious rain-protection (this way, only the fast-drying cover gets wet, instead of your whole saddle getting saturated and taking days to dry!). 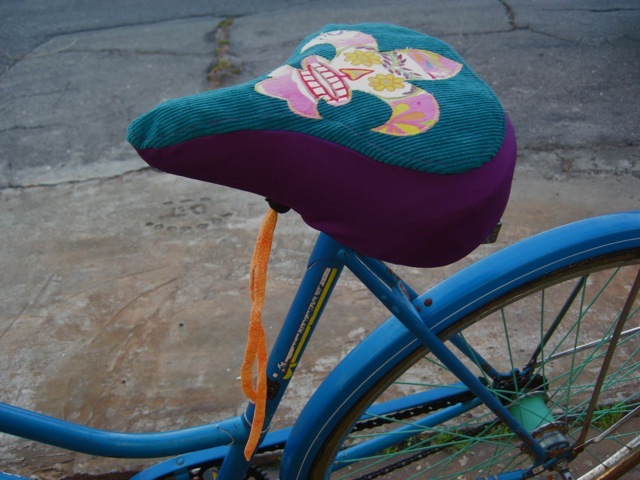 The sides are stretchy polyester, which will wear great and fit well over any seat. There’s a drawstring cord at the bottom of the cover to keep it tight. 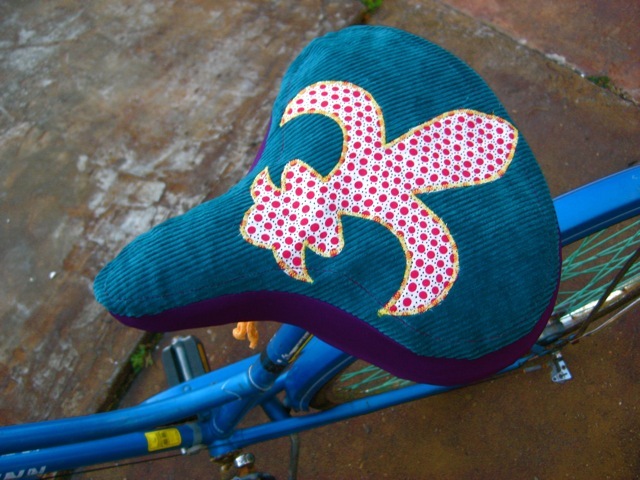 I’ll be selling these for $30 each at the Freret Market on 3 April, or you can get one at my Etsy shop! I was super psyched to see my covers featured on Miss Malaprop’s blog! nice meeting you today @ the UCM, I enjoyed perusing your site- Your stuff is tres’ magnifique 🙂 Good luck in Cali!